Set on the banks of River Musi, Hyderabad is a city of pearls, biryanis and IT. Known for its rich culture and lip-smacking food, Hyderabad allures tourists from all across the globe. The city has much to offer when it comes to tourist attractions for every traveler, right from nature lovers to history buffs and foodies. Though the city is counted one among the Hi-tech cities of the world, it has managed to retain its old-age charm through its historical landmarks and heritage hotel. These places make one flip back the pages of the bygone era of the Nizams. 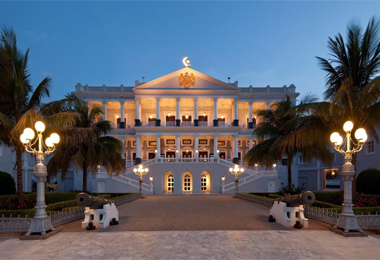 Taj Falaknuma Palace is a heritage hotel that takes you back to the time of the Nizams. Located 2000 feet above Hyderabad, Taj Falaknuma still preserves the royalty left back by the past emperors. Guests feel like they are a part of Hyderabad’s history with Taj’s world-class services and timeless hospitality.